Animal procurement and tool production form two of the most tightly connected components of human behaviour. They are tied to our emergence as a genus, were fundamental to the dispersal of our species, and underpin the development of our societies. The interaction between these fundamental activities has been a subject of archaeological inference from the earliest days of the discipline, yet the pursuit of each has tended to encourage and entrench specialist study. As a result, our understanding of them has developed in full-view but in general isolation of one from the other. This volume begins the process of integrating what have all too often become isolated archaeological and interpretative domains. Exposing and exploring contexts spanning much of prehistory, and drawing data from a wide range of environmental settings, the book covers both sides of the complex inter-relationship between animals, the technologies used to procure them and those arising from them. 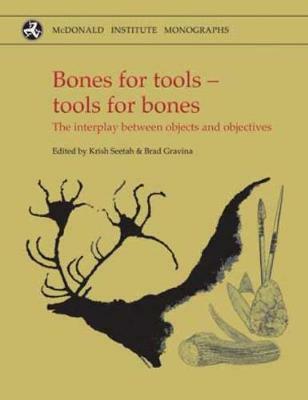 In taking a more inclusive approach to the material, technological and social dynamics of early human subsistence we have returned to the earliest of those archaeological associations: that between stone tools and animal bones. In revealing the inter-dependence of their relationship, this volume takes what we hope will be a first step towards a revitalized understanding of the scope of past interactions between humans and the world around them. Krish Seetah is Assistant Professor in the Department of Anthropology, Stanford University. His zooarchaeological research focuses on butchering and the socio-economic context of food. Brad Gravina is a member of the laboratory Prehistoire a l'Actuel: Cultures, Evironment et Anthropologie (PACEA) at the University of Bordeaux. His research focuses on the final Middle Palaeolithic of Western Europe with an emphasis on lithic technology and taphonomy.